Yellow-eyed Babbler is one of the beautiful babbler we saw. It has yellow eye as suggested in name but for us identification point of this babbler is red color rim around eye. We saw many new birds in Patan, Yellow-eyed Babbler is one of them. 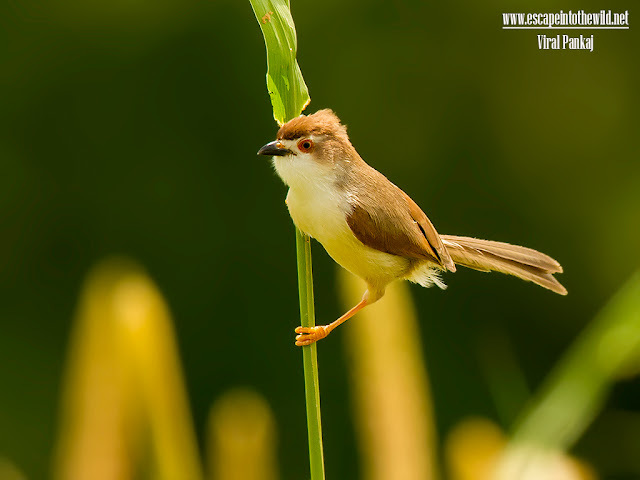 While coming back to home after pick up my kid from school we saw Yellow-eyed Babbler in millet farm. It was looking great with its yellow eye. It was moving swiftly from one plant to another giving different pose. We clicked very quickly few shot. While adjusting our vehicle it fly away.